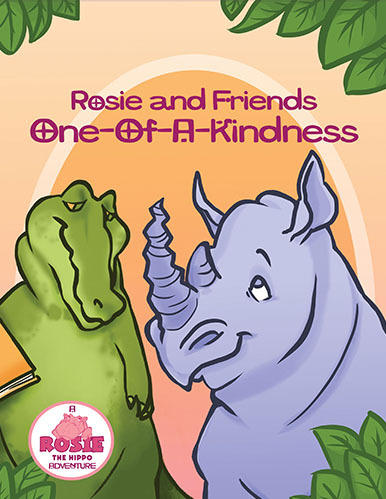 Rosie and Friends: One-of-A Kindness by Helen Hipp is a sweet and encouraging story about friendship and kindness. When Hornsby loses his horn in a fight, he is no longer accepted by his herd. Struggling with a sense of belonging, he wanders off and winds up finding some new friends that teach him a valuable lesson. Between the cute story and the delightful illustrations, there’s a lot to like about Rosie and Friends: One-of-A Kindness. It has a terrific message and even includes some discussion questions and an activity at the end. Kids will love this one and parents can use this as a way to discuss friendship, kindness and belonging with their young ones. The colorful illustrations by Taryn Cozzy will keep readers turning the pages. Definitely a fun read. I received a digital copy of this book from the author. This review contains my honest opinions, which I have not been compensated for in any way.